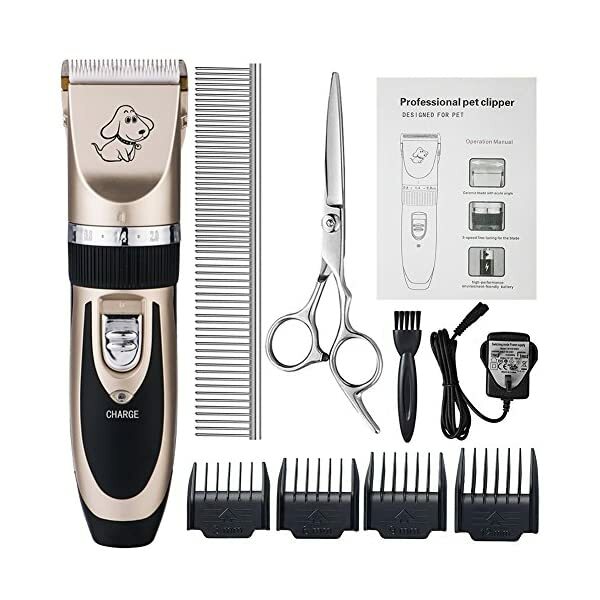 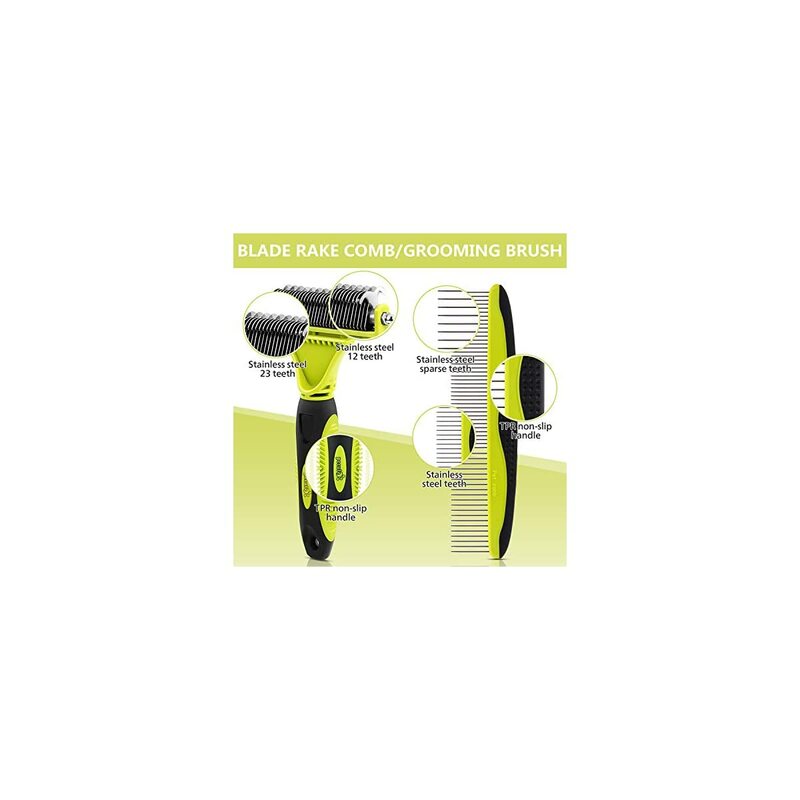 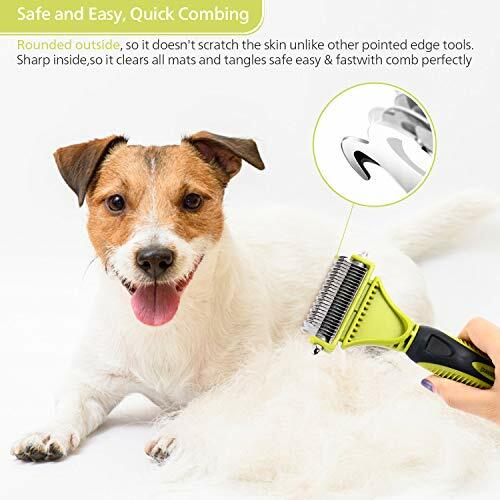 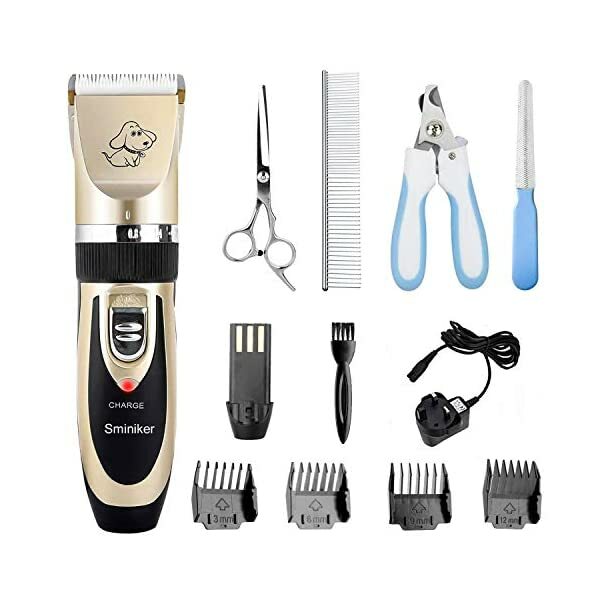 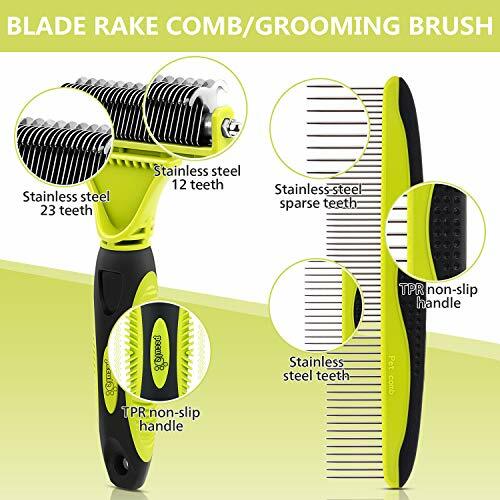 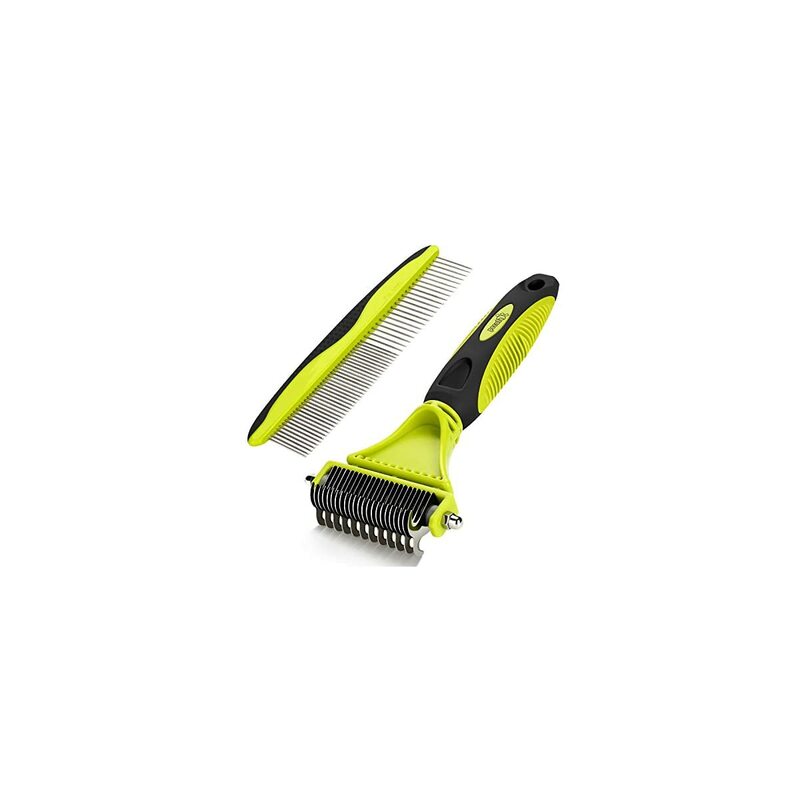 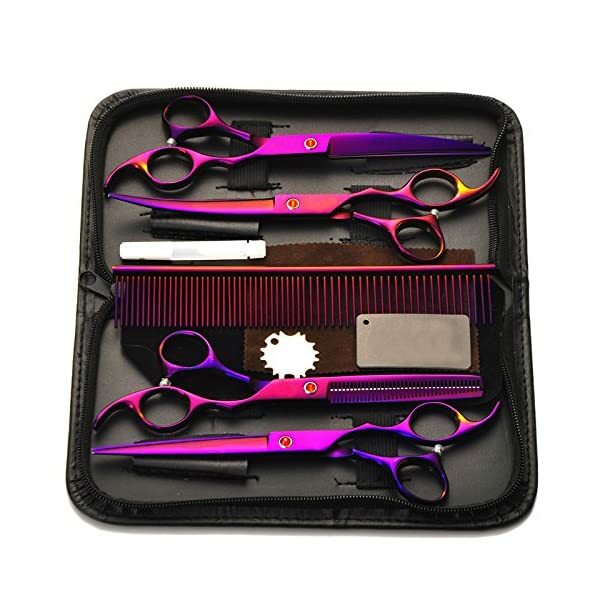 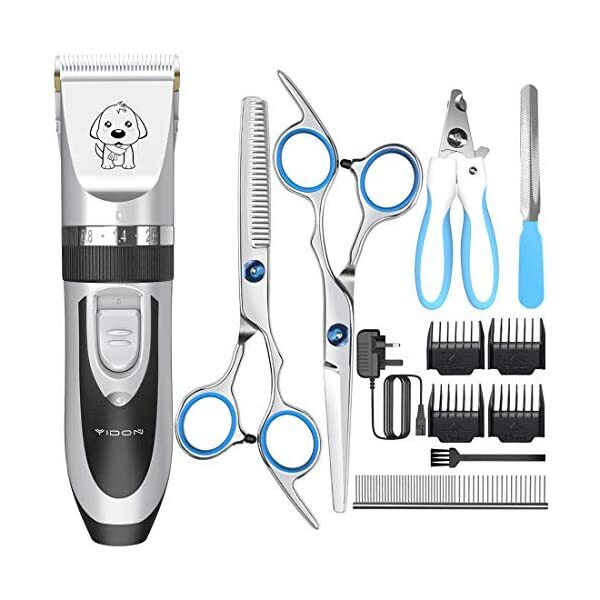 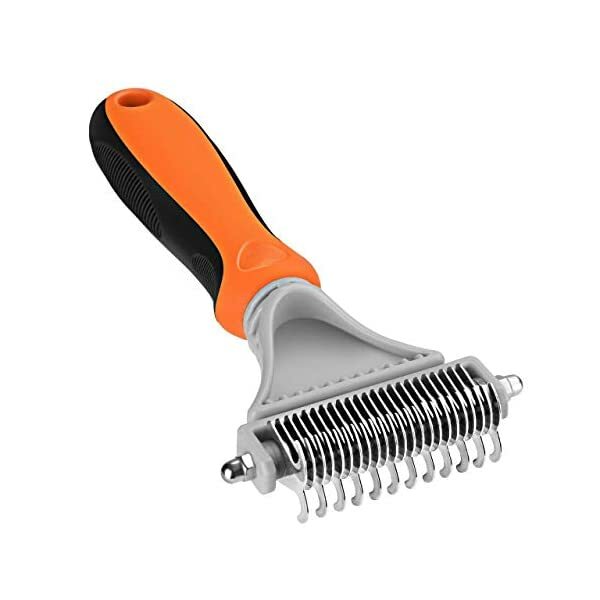 🐾DURABLE HIGH QUALITY MATERIAL – Made of high quality TPR material; stainless steel blades will not rust; ergonomic non-slip comfortable handle prevents grooming fatigue; sturdy and durable construction will last for long time. 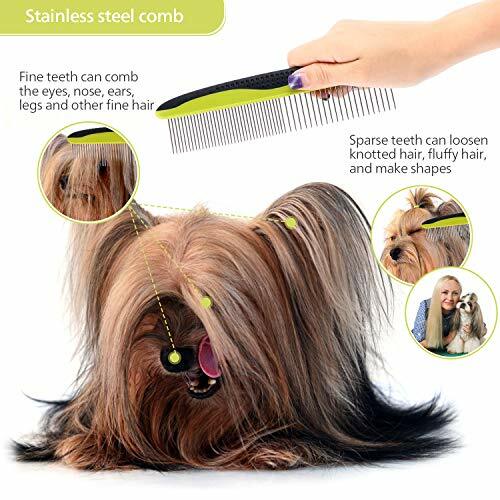 🐾MINIMIZE PETS SKIN IRRITATION – The dual sided 12-23 teeth comb will be your best choice to cut even the longest and densest coats of dogs, cats, rabbits, long haired pets. 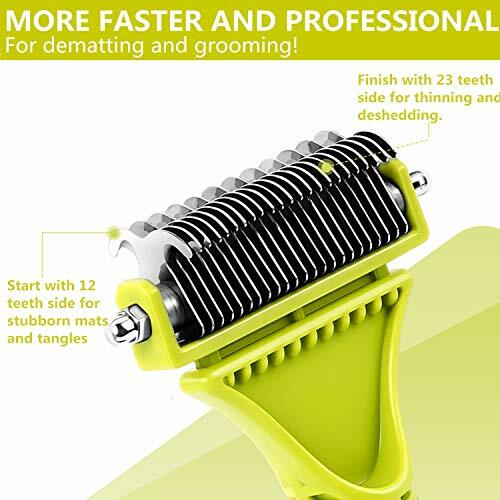 The 12 teeth side for stubborn tangles and the 23 teeth side for faster results or thinning and de-shedding. 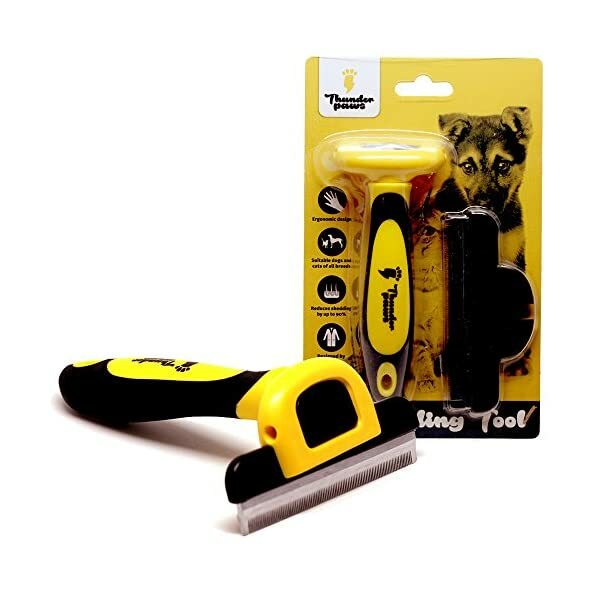 🐾Rounded outside,So it doesn’t scratch the skin unlike other pointed edge tools. 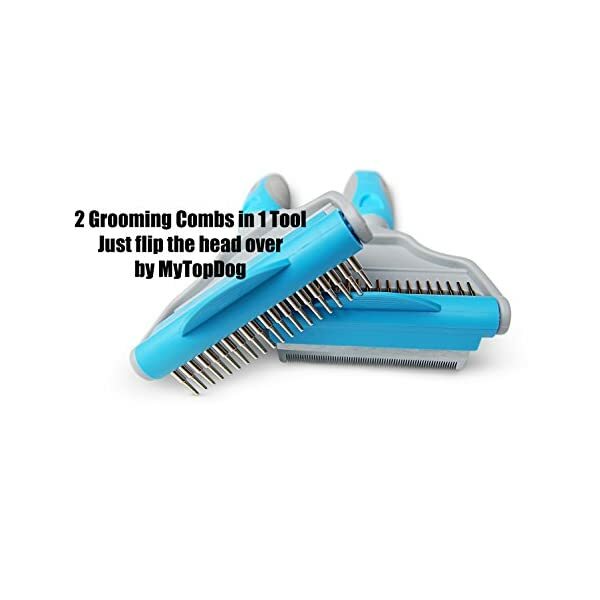 Sharp inside, so it clears all mats and tangles safe easy and fast. 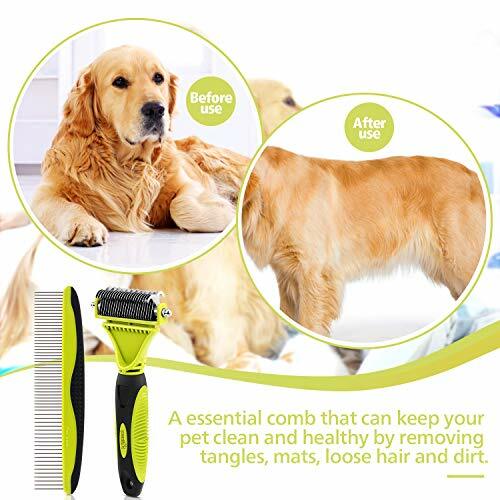 🐾COMFORTABLE TO USE – Versatile comb is a essential comb that can keep your pet clean and healthy by removing tangles, mats, loose hair and dirt. 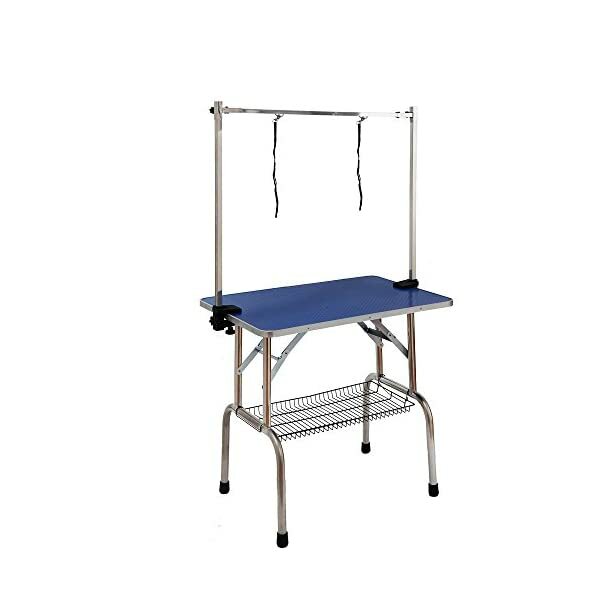 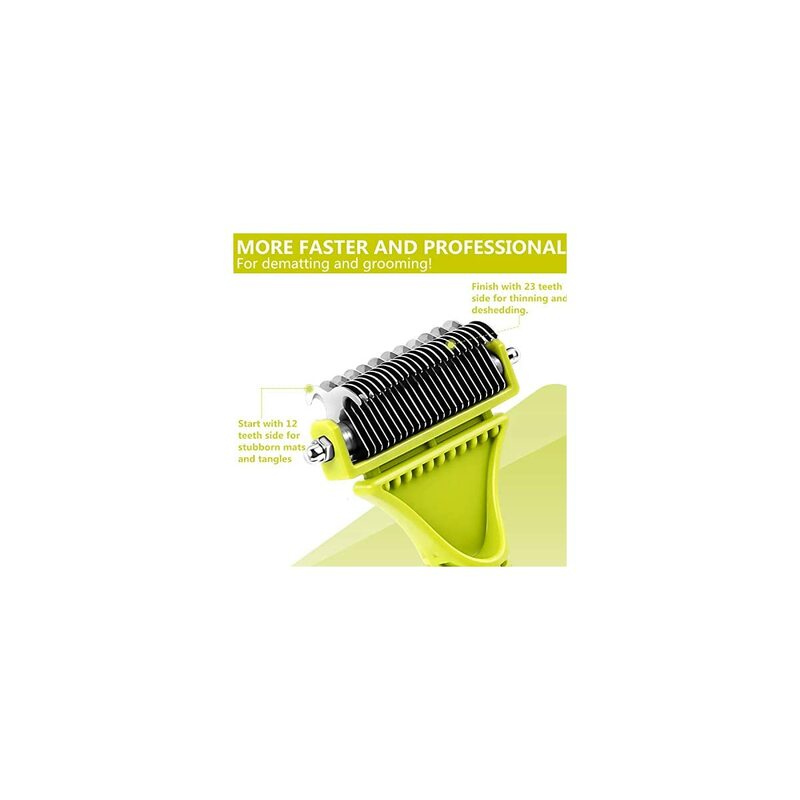 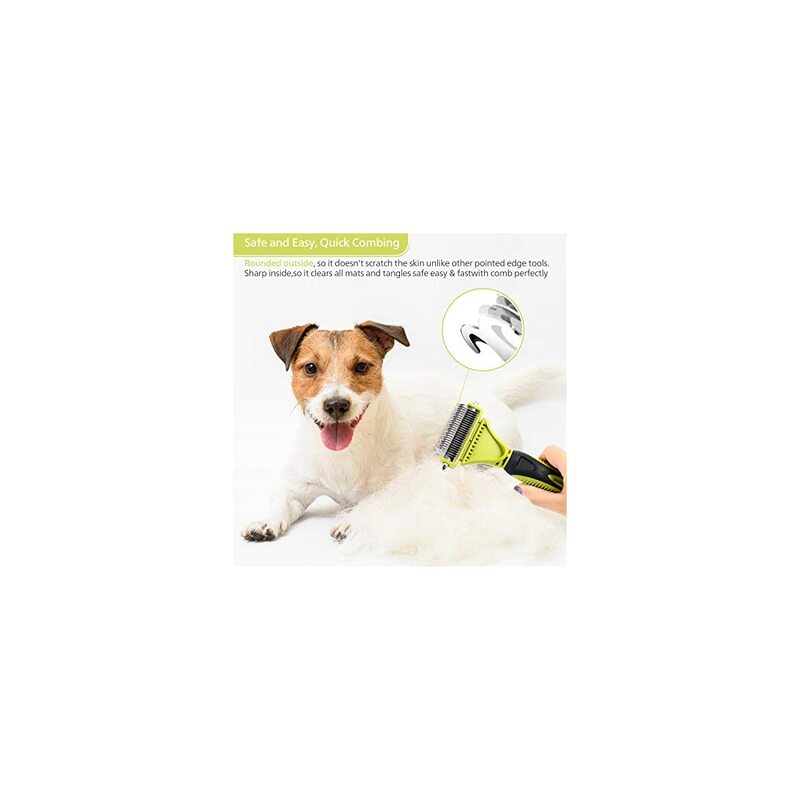 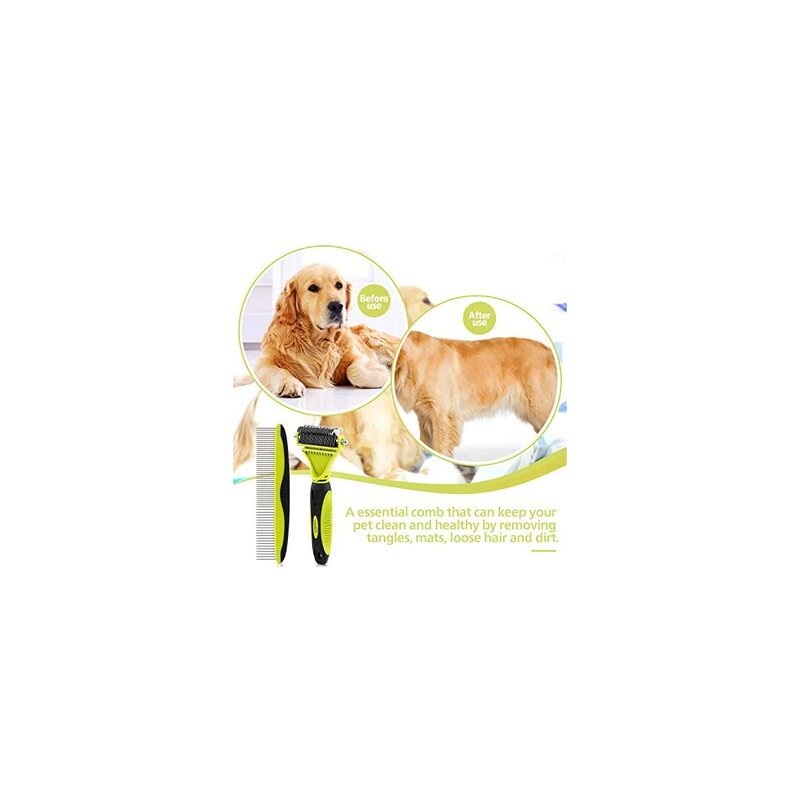 Special esay-grip design makes the pet grooming is a easier and more comfortable thing. 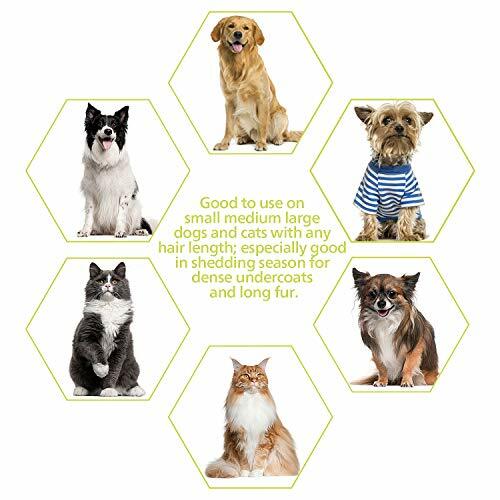 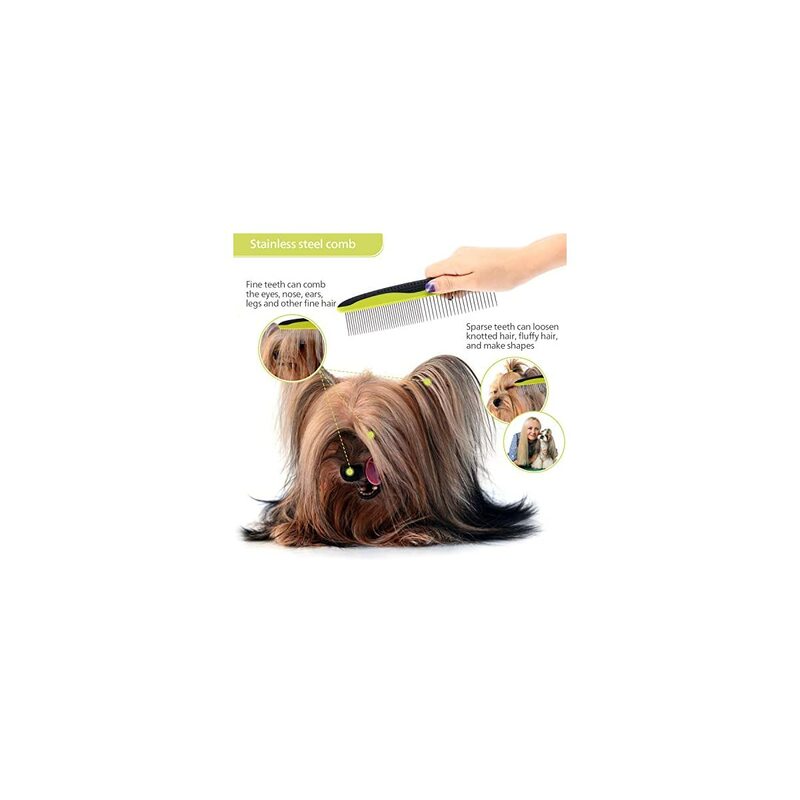 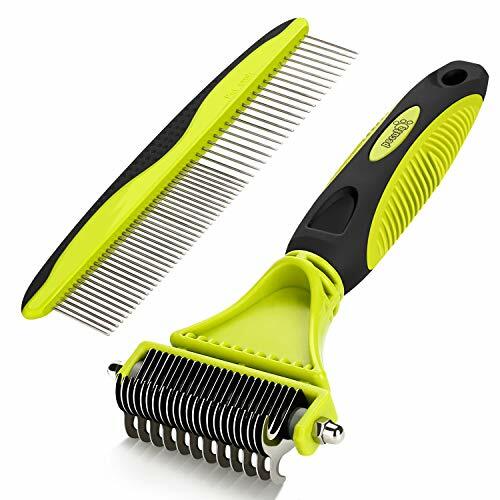 🐾EASY GROOMING KIT – Dematting Dog Hair Tool Kit – This 2-in-1 pet grooming tools demate tangles, move loose hair, and detangle hair balls, groom your pets with comb perfectly.